The 17-year-old Franklin High School senior, who dreamed of a career in the Marine Corps, went ghost hunting at a local park with friends Friday night, police say. They ran into another group, shots were fired and Ryan Dela Cruz was killed. On Friday night, Ryan Dela Cruz finished his homework and told his parents he was heading out for a celebration with friends who, like himself, aspired to join the U.S. Marine Corps. “Where are you going?” his father, Henry Tacazon, wanted to know. “I don’t know,” their youngest son, 17 years old, replied. Then he was gone into the night, leaving his parents to replay those three words over and over again, the last ones they ever heard him speak. The Tacazon family confirmed Sunday that Ryan Dela Cruz, a senior at Franklin High School just weeks away from graduation, was fatally shot shortly after midnight on Saturday morning at Martha Washington Park by an unidentified assailant. The park, studded with groves of white oak trees by the shore of Lake Washington, has been described as haunted by some websites. Police believe that a group of teenagers, including Dela Cruz, was there to hunt for ghosts when they encountered another group — and mayhem broke out. The second group opened fire, and Dela Cruz was hit three times, according to accounts by police and family members. “We don’t believe the victim was targeted,” said Sgt. Sean Whitcomb, a police spokesman. He declined to say if the two groups knew each other or comment on what prompted the gunfire, citing a pending investigation. Police had not yet identified suspects, who fled the scene, but do not believe the incident is gang-related. News of the young man’s death stunned family and friends. 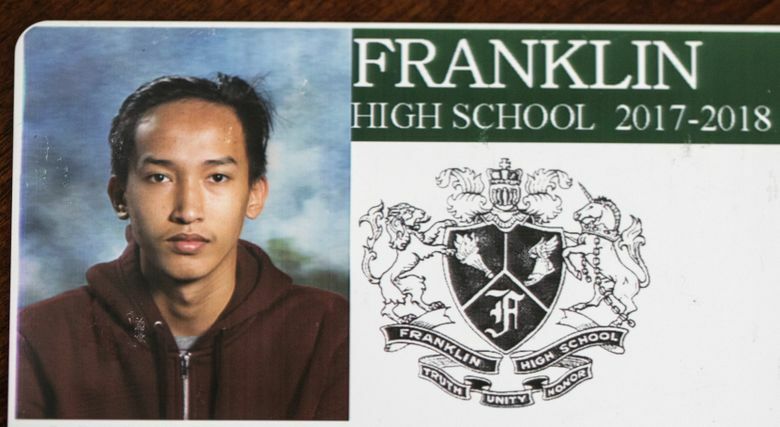 Dr. Jennifer Wiley, principal of Franklin High, said staff members knew Dela Cruz as a “sweet, thoughtful, inquisitive and compassionate young man who had an exceptional thirst for life and the world of possibilities ahead. He was determined to commit his life to service of others,” she said, noting his plans to join the Marines after graduation. Dela Cruz, the youngest of four children, arrived in Seattle from the Philippines when he was only a year old, his parents said. 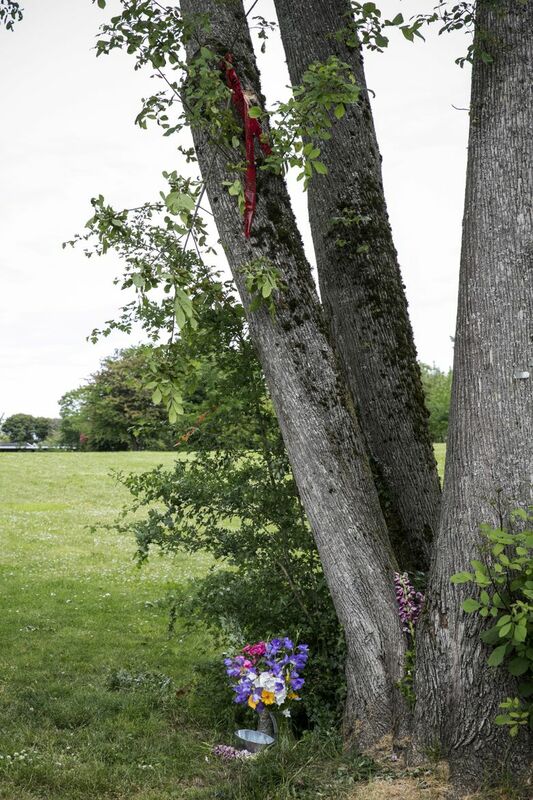 He enjoyed typical teenage pursuits, like playing video games on his Xbox console. He excelled at math and would help classmates with problem-solving, said his mother, Genoria. Dela Cruz got his first job as a dishwasher at the Bayview retirement home in Queen Anne, where his father, Henry Tacazon, works as a supervisor. Lately, Dela Cruz had increasingly focused on physical training to prepare for joining the Marines. At first, his father pushed back against the idea, pointing out that his son didn’t know how to swim and objecting to the dangers of being a soldier. His son brushed him off. Eventually, Henry Tacazon embraced his son’s ambition. “Hey Marine, wake up!” he would say as he woke his son in the morning before driving him to school. It was unusual for their son to go out at night, his parents said, but on Friday, Dela Cruz said it was for a “Marine celebration.” He still hadn’t returned when they fell asleep watching television. Henry Tacazon woke around 2 a.m. Saturday, he said, and his son still hadn’t returned. He dialed his cellphone but it went straight to voicemail. Maybe his son wasn’t answering because he was with the Marines, he thought, and went back to sleep. He woke around 4 a.m. to banging on the door. “It’s your son,” he recalls his wife saying. 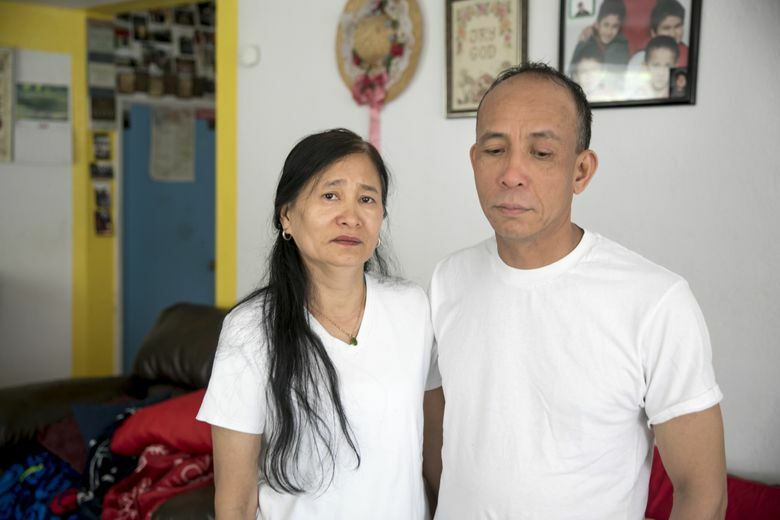 “Open the door.” But the knocking came from Seattle police officers bearing bad news: Dela Cruz was in critical condition at Harborview Medical Center. When the family arrived at the hospital, Dela Cruz’s heart was still beating, his hand still warm when Henry Tacazon clasped it. But the stricken teenager did not grip back. A tear rolled from the corner of his son’s eye, Tacazon recalled. And then he was gone.